Cost Accounting Information | What is Cost Accounting? What are the different types of accounting costs that your company can accrue, and how can you build cost accounting policies to minimize their effects? Basic Cost Accounting Information starts with cost: a financial measure within your accounting management system defined as resources consumed or acquired in accomplishing a specified purpose such as performing a service, providing a product, or carrying out a project or program regardless of when the resources were ordered, received, or paid. Cost can be defined in a variety of ways depending on the objectives or information desired. First, let’s define a few terms. There are two fundamental methodologies of accounting, each with assumptions, constraints and theories, which guide all financial recording, reporting, and measurement activities: Cash and Accrual. Cash basis accounting records financial events only when cash actually changes hands in an arms-length transaction. Accrual basis accounting records revenues when earned and expenses the costs associated with the revenue earned when incurred. Most companies require the use of the accrual basis of accounting for financial transactions unless otherwise stated in your accounting manual. Cost accounting is defined as a technique or method for determining the cost of a project, process, or thing. This cost is determined by direct measurement, specific assignment, or systematic and rational allocation. Central to cost accounting is the process for tracing various input costs to the product or services of the company. Cost classifications are based on such characteristics as time incurred, reaction to changes in activity levels, and influence on decision making. The Controller is responsible for ensuring that any cost information maintained to meet customer service requirements is minimized and that cost recovery information is maximized. Some aspects of cost accounting may be measured in relationship to the time the cost is incurred. In many cases, the measurement time period for a cost is specified in the authorizing documents or contracts for a program. In other cases, the Controller is responsible for determining which costs will be used for specific purposes, and for assuring that similar activities are treated consistently within the company. The three most common measurements are historical costs, current market costs, and budgeted costs. Historical Cost is the cash equivalent price of goods and services at the date of acquisition. This cost does not change over time. Current Market Cost (also referred to as replacement cost) is the current value of an asset. Depending on whether the asset is tangible or intangible and the availability of similar assets on the open market, current market cost may be measured by replacement cost, reproduction cost, sales value, net realizable value, or net present value of future cash flows. Budgeted Cost (also referred to as standard cost) is the cost that should be incurred to produce a product or provide a service based on past experience producing or providing like-items. Thus, comparison of actual costs with the predetermined benchmark alerts program managers to those areas in which the actual costs appear excessive. In any period, cost may or may not change in relationship to changes in levels of activity. Based on the relationship to changes in levels of activity, costs are classified as variable, fixed, or mixed costs. Activity measures can include production or service levels, machine hours, or sales in units or dollars. The way a cost reacts to changes in activity is determined by how the total cost for the period, rather than the cost of a single unit of activity, changes when activity levels change. Variable Costs are costs that vary in total in direct proportion to changes in levels of activity. If total cost varies in direct proportion to activity changes, the cost per unit is constant. Fixed Costs represent all costs that remain constant within the Company’s relevant range of activity. A relevant range is a range of activity in which costs behave in accordance with the way they have been defined, generally the normal operating range. 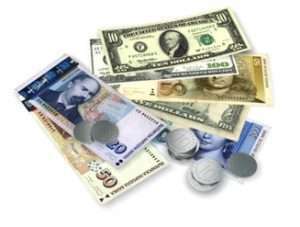 Mixed Costs has both a variable and fixed component; it does not fluctuate in direct proportion with activity, nor does it remain constant with changes in levels of activity. The Controller is responsible for developing cost projections and budgets that identify costs by variable, fixed, or mixed categories. All managers are responsible for minimizing variable and mixed costs and ensuring that fixed costs are minimized, and are fairly spread over all projects, whether or not those projects incorporate cost accounting. The Controller is responsible for classifying costs as either direct or indirect and ensuring that costs are consistently classified as either direct or indirect in similar situations. Fringe Benefits are those allowances and services provided to employees as compensation in addition to wages and salaries, including retirement, health insurance, and life insurance. Fringe benefits are allocated as a rate applied to direct labor costs. The Controller is responsible for determining the fringe rate based on all labor and fringe costs, regardless of where an employee works. A single fringe rate must be applied to all employees in all projects, unless the Controller has developed separate cost pools that reflect a significantly different fringe cost among groups of employees. Overtime and Premium Pay are charged in the same manner as the regular wage portion of an employee’s earnings for hours identified with a specific activity. Other Personnel Costs are charged in the same manner as the related base labor charge, e.g., allowances for offsite pay, location allowances, hardship pay, hazardous duty pay, and uniform allowances. Equipment used in an activity for which costs are accumulated can be charged in either of two manners: a) charging for the full acquisition cost, or b) recovery of a portion of depreciation. The Controller is responsible for determining whether equipment can be charged in full to a project, and if not, for determining the rate and basis for charging equipment usage to projects. Indirect costs are those costs, which cannot be specifically identified with producing a specific product, or providing a specific service but which can be shown to bear some relationship to, result from, or be in support of, the product or service. The indirect cost pool will generally include costs that benefit both cost recoverable and non-cost recoverable work. Although indirect costs are not required to be allocated to non-cost recoverable work, an allocation basis must be used that would, if applied to all projects or activities, fairly distribute the cost pool over the benefited activities. Make sure your cost recovery projects are not unduly burdened with indirect costs. The Controller is responsible for developing and documenting the allocation method, using a generally acceptable and consistently applied overhead rate based on direct costs, identifiable cost pools, and the cost elements that are charges to those pools. 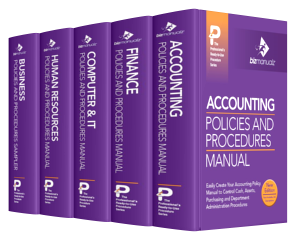 Our CFO Bundle is available to download. See how easy it is to edit MS Word Templates to build your own cost accounting policies and procedure management system. I’ve never heard of cost accounting before. I didn’t realize so many of the decisions made when running a business depended on it. Is this something that your accountant will do, or is it beneficial to hire someone to focus solely on this task? Thanks for sharing this great information!